Welcome to Eat Drink Explore Inspire, the blog by The Connected Table We enjoy discovering and sharing stories about people, products, places and causes. 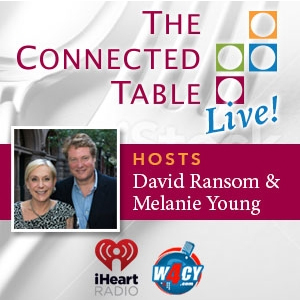 With a palate for good taste, a passion for travel and a penchant for supporting inspiring causes and women owned businesses, Melanie and David look for news, ideas, trends and people with a story to share. Our blog covers any topic that inspires us in food, wine, spirits, travel and community.